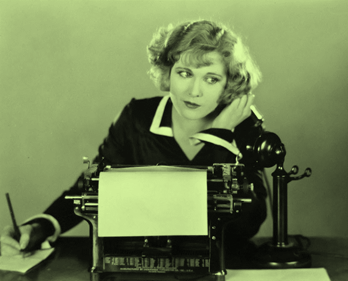 Now that National Novel Writing Month is over, I’m back with our Three Things Serial. All the Fabro cousins stood on one corner of the deck, apparently just beating their gums about nothing in particular while they fished. Frankie swung his fishing line out into the water, and then looked up at me with that adorable lopsided grin of his. Okay, so it’s just the way my pop raised me, but I don’t talk a lot about these things, but I had gotten pretty sweet on Frankie. In case you’ve forgotten, the yacht was on the way to the Ca’ d’Zan mansion in Sarasota, the rich circus magnate having invited everyone for the trip. We barely had enough time to hurry back to the office building where most of us lived (except the Fabros) and grab a few personal things. Andy and Mona were below decks talking to Ringling about the Astronaute man’s short film idea, which was the impetus for the generous invitation to all of us. As I walked across the deck toward Frankie and his cousins I pulled my sweater closer. Around Sarasota it was 61 Fahrenheit (°F), still warm compared to most places. But out on the open water it felt a lot cooler to me. 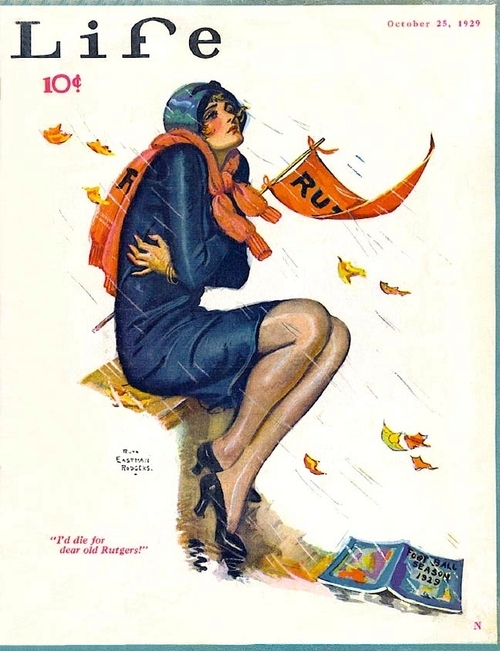 My gams were freezing and I wished for some thick wool stockings, or — the flapper in me hated to think it, but maybe a longer skirt! The boys didn’t seem to notice the cold. All of them had their shirtsleeves rolled back. That was the first time I paid any attention to the tattoos. They all had the same one on their forearms. Once I had asked Frankie about his, but he seemed shy about it and conveniently put his arm around my shoulders where I couldn’t see the tattoo. It was of a Maltese cross inside a triangle and it had a spear through it. The men abruptly stopped talking when I walked up. One of the twins elbowed the other, Fred or Fedel — it was hard to tell them apart. Flavio shot me a funny surreptitious look, but that was just him. Charming as he was, he did have sort of an odd way about him. For the first time I felt kind of awkward around the guys. I shivered dramatically to cover my self-consciousness and commented on the weather. “At least it’s too cold for mosquitoes! Catching anything?” I asked. Fred (or was it Fedel?) held up an impressive string of fish, and I made a big deal over them. Frankie waived toward the shore. I could make out some cypress trees and realized that there must be a stream or lake just beyond my view. The yacht wasn’t too far from shore. “My grandma always said that there’d be good fishing if a cypress tree was within sight,” he told me. I chuckled at the memory. He gave me a funny look for a second, but his smile never faltered and he reached out and pulled me closer to him. I snuggled up under his arm — after all, it was kind of cold out on the deck. Posted on December 1, 2013 by Teagan R. Geneviene •	This entry was posted in Teagan's Books and tagged Ca'd'zan, Cypress, Fishing, Flapper, Gams, Mosquitoes, National Novel Writing Month, Ringling, Sarasota, Three Things, yacht. Bookmark the permalink. That’s so nice of you Brenda. I didn’t do a post about my one-year mark. I didn’t even think about it… but that’s also when I got up the nerve to indie publish my novel. So I guess that explains it. I don’t know if I’m going to indie publish or not. I’m working on a new novel, and I have my first in a critique at a writer’s conference. I don’t know if I will ever find an agent or publisher, but I’m trying for now. It takes forever. They talk about this at writer’s conferences as the problem of discoverability. Indie is more work than I can do (and do it right anyway — the promotional stuff is a full time job), because I work full time. But I decided to go ahead and just do the little I can. The important thing to me was giving it a try — just to know that I had. So good luck with yours either way! 🙂 The important thing is that you finished it. Hope November-writing went well. 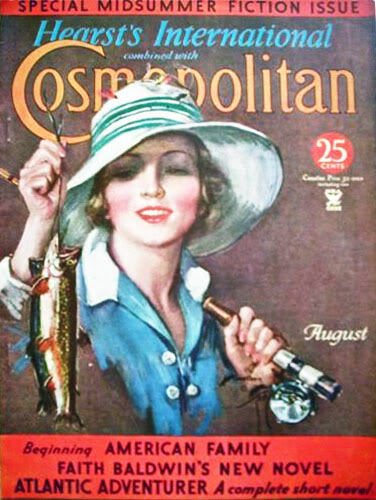 🙂 I’m enjoying all the charm and character in this entry…I love the image of a fishing flapper! I love the way you transform images and words into stories! Thanks Mary — and congratulations on your NaNoWriMo success. Glad you liked the magazine covers. There were many delightful ones back then. I only wish I had thought of using them in the serial sooner. Nice entry this week. NaNoWriMo is over. Take a deep breath. Then get back to the story. I like your magazine covers in this entry. A perfect fit. I wanted to give your three a suitable lead-in.